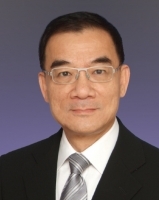 Mr Lee is Chairman and Chief Executive Officer of DH Capital (HK) Limited. With over 40 years of experience in property and development, he has managed many major projects. He has served on many government advisory committees and boards, offering advice on policies governing planning and development. He has also made immense contributions towards improving the quality of buildings through good building management and renovation. Mr Lee has also served as Chairman of the Hong Kong Housing Society, Member of the PolyU Council and Central Policy Unit (known as the Think Tank of the Government).